This is a sponsored post written by me on behalf of Ruby Tuesday for IZEA. All opinions are 100% mine. I usually have family dinners at home, but it’s nice to occasionally take a break from cooking and cleaning up the kitchen. Plus, if you don’t do it often, eating out is a fun family event. The trick is finding a way to enjoy a healthy family dinner out. Yes, it really is possible to have fun, eat healthy and do it away from home where someone else will do the cooking! You just have to know a few tricks. Below are my best tips, with examples from one of my family’s favorite restaurants (Ruby Tuesday). You want somewhere that’s a little bit loud so no one minds if the kids get a little loud. But you also don’t want it so loud that your kids will be screaming at the top of their lungs to get your attention. Skip the sports bars where profanity might be prevalent too. Ruby Tuesday is lively, but not raucous. It has a bar, but it’s typically located far from the family dining area. Unless your entire family loves all the same food, you’ll want to choose a restaurant with a good variety of dishes on the menu. Because when someone in my family is dead set on having Mexican food, someone else insists on Italian. At home my rule is you get what you get, but one of the benefits of eating out is that we can have a meal catered to what we each want. Ruby Tuesday is one of our first choices because they have everything from seafood and steak to pasta and sandwiches. Eating out is expensive. Might as well not spend money on an adult-sized portion that your child can’t finish. Ruby Tuesday is a champ when it comes to its kid’s menu. Not only does it include all of kids’ favorites (pasta, corn dogs, chicken tenders, pizza, popcorn shrimp and burgers), it also has a surprise healthy dinner choice (grilled chicken). Eating out doesn’t have to mean sacrificing nutrition. 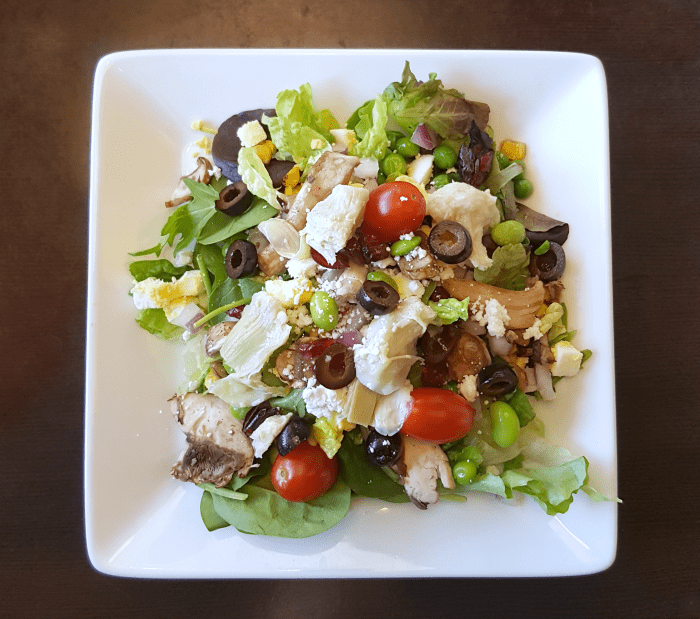 Look for restaurants with a good salad bar, healthy entrees, fresh vegetable side dishes, and choices for special dietary needs if you have them. Ruby Tuesday was always a hit with my family but their new Garden Bar is a game-changer. It’s the mother of all salad bars, complete with items I rarely see outside of my own home. Find out More about Ruby Tuesday’s All New Endless Garden Bar. My husband laughed at this creation since I couldn’t decide on a theme and just put everything I wanted on it. Yes, that’s edamame you see. And artichoke hearts. And fresh peas. And ROASTED corn! I couldn’t even choose just one lettuce so I had spring leaves, spinach and iceberg lettuce all together. I managed to refrain from dousing it with multiple salad dressings (even though there were 9 to choose from!). I did have to go back to make a small second salad to have an excuse to try the Cilantro Lime Vinaigrette though. Delicious! Soup is a great choice when you want something warm and hearty but are worried about calories and fat. If fat and calories are your concern, opt for broth and vegetable-based soups over cream soups. Soups with beans, lentils and/or vegetables will give you a healthy dose of fiber too. Ruby Tuesday’s Garden Vegetable soup is one of my favorite low-calorie lunches. If you have a hearty appetite that will only be satisfied with a big dose of protein, you can still avoid unhealthy fats and unwanted calories by opting for grilled meat or fish. No matter what I’m craving (steak, chicken, or fish), Ruby Tuesday has a grilled version for me. They also mark menu items with their Fit & Trim icon so you can easily identify lighter menu choices. French fries and onion rings are not your only options when you eat out. If you chose the right restaurant, you should have plenty of healthy, flavorful side dishes to choose from. 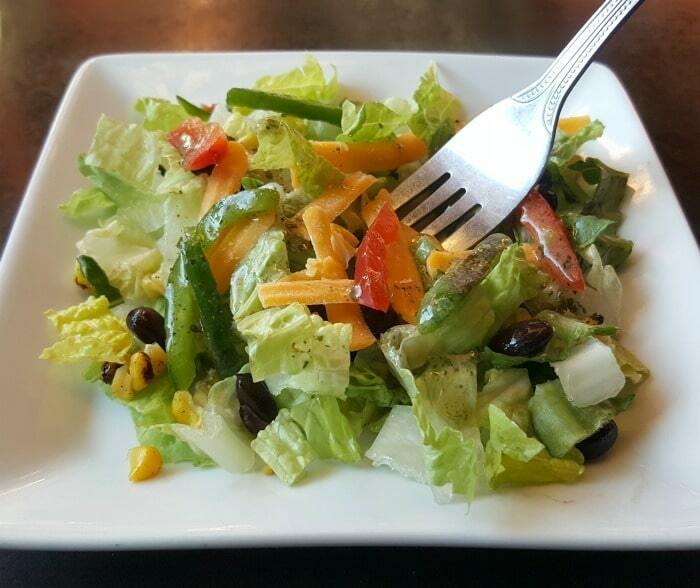 This is another reason Ruby Tuesday is a great choice for family dinner out. They offer several healthy sides on their menu – fresh grilled zucchini, fresh steamed broccoli, and fresh green beans. The kids have even more choices! While they still have the option of french fries, they can also choose green beans, broccoli, grilled zucchini, grapes, apples, or the salad bar. Milk for the kids is a good choice. Not all restaurants offer milk as a beverage choice and when they do, it’s chocolate milk. Yet another reason Ruby Tuesday is one of my go-to family restaurants. Try These Tips for Yourself! 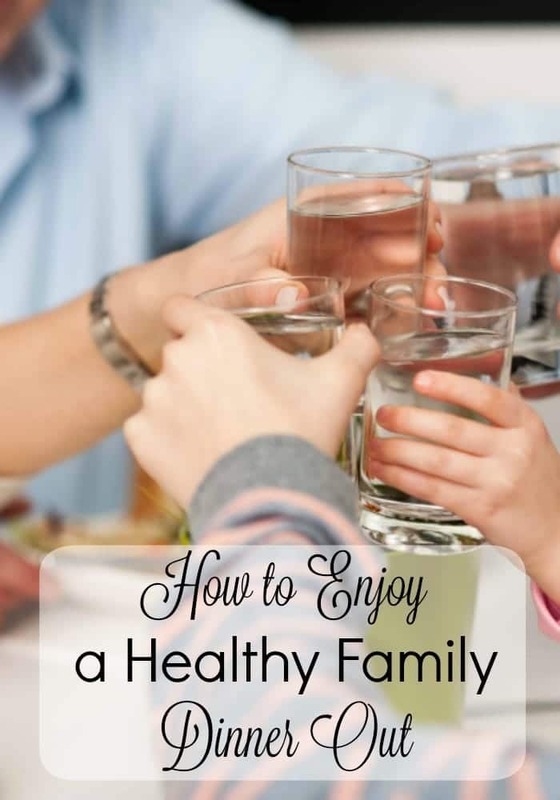 Hopefully the tips above have convinced you that dinner out with the family can be fun AND healthy. Now it’s time to head out for dinner and try these tips first hand! To help, Ruby Tuesday is giving my readers a special offer! Click below to get a free Kids Meal with the purchase of a Garden Bar adult entrée. Ruby Tuesday is generously giving one reader a $50 gift card. Click this link to enter >>> $50 Ruby Tuesday Gift Card Giveaway!